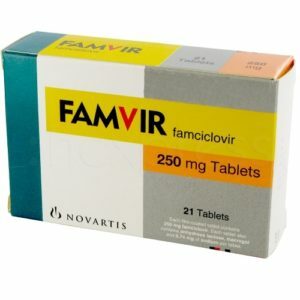 Zovirax is also known as Aciclovir, which is also the active ingredient. Zovirax anti-viral medication treats infections like genital herpes, shingles and cold sores. Zovirax can significantly reduce the severity of genital herpes outbreaks and decreases healing time. Acyclovir also decreases the number of days you suffer with painful or unsightly symptoms. And for some people this medicine decreases the number of days you can spread the virus. Unfortunately this is no magic cure for this STI -genital herpes, once you have the infection the virus remains in your system for life. However good news is at hand and genital herpes can be managed with medication. Unfortunately Zovirax is currently not available online in the UK. 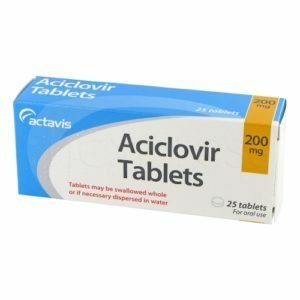 We do have another prescription medication available to treat genital herpes – Aciclovir. Zovirax is like other anti-viral medications; it treats infections caused by certain types of viruses. The most common is cold sores around the mouth, which is caused by herpes simplex virus. It also is used for genital herpes outbreak. How do I use Zovirax? Zovirax is taken depending on the condition you are treating. Zovirax can be taken with just a glass of water or with food. 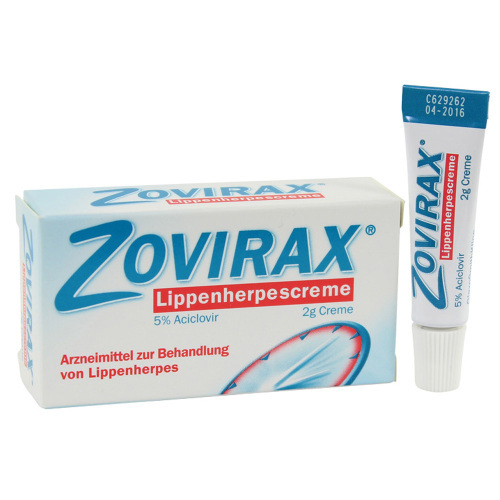 Zovirax is recommended for the first flare-up of genital herpes. It is taken for 7-10 days to ease discomfort and clear the infection. It can also be effective treating recurrent outbreaks. All medicine has side effects associated with taking them however not everyone will suffer from them. Keep in mind that the benefits of taking medication to prevent a serious condition are more important than some minor side effects. Most side effects usually only last 1-2 weeks when taking a new medication. Please see your doctor for more information and to check if zovirax conflicts with any existing medical conditions or medications you are currently taking. 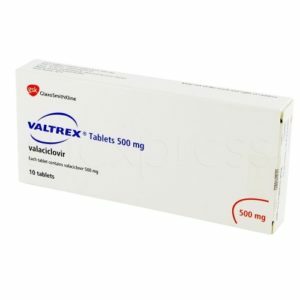 How do I buy Zovirax online? You need to have a free consultation online to obtain a prescription to purchase Zovirax. This is a simple process that only takes a couple of minutes that replaces the face-to-face consultation you would normally have with a doctor. Once you have been approved for the medication zovirax it will be sent out from the pharmacy to you as soon as possible. I have been taking zovirax for over 12 years, 400 mg each night at bedtime. I have only had a few outbreaks, caused by kissing my husband who had outbreaks. On doctor’s orders, I am to increase to 800 mg each night at bedtime when I do have an outbreak, or when I’m not feeling well. Other virus’ can set off a cold sore attack. 400mgs twice a day will stop an outbreak. The itching will usually stop within 12 hours after the first dose. I have not had to take it for more than two days. I have not experienced side effects from this medication. I’ve used a limited dose every other day for 9 years with no outbreaks. I have had a cold sore outbreak 1-2 x/year for last 15 years usually during summer months (lower lip). I had previously tried medicated lip applicators with little success. A friend suggested Zovirax. I use it now at the first sign of tingling or hardness in the lip. When I catch it early the severity of the outbreak has been greatly diminished. I only use for 2 days and the sore has usually healed in about 10 days to 2 weeks. I had my first outbreak over a year ago, been taking 400mg a day and haven’t had an outbreak since. I used to have cold sores all the time when I was a child, either when exposed to too much cold or when exposed to too much heat. Finally, I found a doctor who gave me a prescription (just a few years ago, I’m already an adult) and the Doctor prescribed Zovirax 200 mg 5x a day for 5 days. When I am able to take the medicine as soon as I feel the blister forming, the blister will only last for a day; it will grow and then burst and crust over within twenty four hours, so I’ve never really had to take the medication for more than 2-3 days. Very thankful for this medicine. I’ve had shingles a total of 6 times because I am immuno-compromised. Each time it was the same area of my back and wrapping around my side to my stomach. I do not recall the first few outbreaks as it was during a time I was so ill that I am basically missing a few months of my life because I was not alert at all during that time. I do recall the last 4 outbreaks. One of the doctors and I have a theory about why I did not notice the burning, itching etc that tends to be very painful and annoying for most people. The meds I am already on. I take pain meds around the clock already as well as taking gabapentin which helps nerve pain. Now on 200mg/day to prevent recurrence. I don’t seem to have any issues with medication taken daily. Took one ten day course of this anti-viral over seven years ago and have never had even a hint of another fever blister symptom ever since. I felt better after first week, and remarkably stronger after completing the 10 day prescription . Next best thing to a cure.